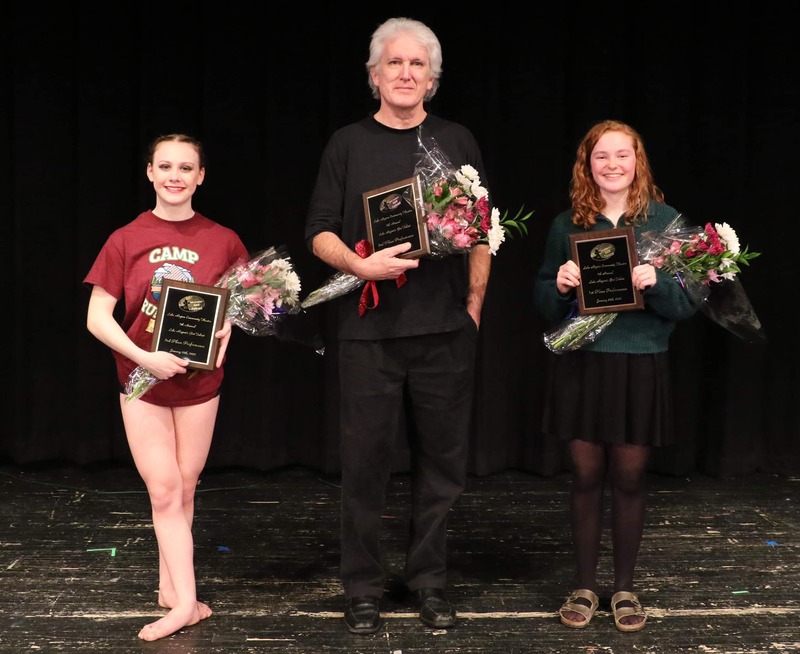 CONGRATULATIONS TO THE WINNERS OF THE 6TH ANNUAL LAKE REGION'S GOT TALENT! Thank you to all our contestants, judges and you: our wonderful audience! 📸 Visit the Lake Region Community Theatre Facebook Page for lots of photos from the amazing Shannon Avery! What is Lake Region’s Got Talent? Lake Region’s Got Talent (LRGT) is our annual competition where locals within the Greater Lake Region area (and surrounding towns) show their amazing talents to a panel of performance professionals with a wide range of expertise and highly experienced performance instructors. Unlike most talent shows, the winners will be determined by a process of elimination and must take part in Quarter-Finals, Semi-Finals, and Finals competitions. Those who ultimately place 1st, 2nd, and 3rd will share over $1,000 in cash and prizes. During the Semi-Finals and Finals, the judges and the AUDIENCE will select those who will move on and ultimately, the winners. All performances will be filmed by Lake Region TV and cablecast locally. Are there any requirements in order to audition? To be eligible to compete in Lake Region’s Got Talent, you must have an act to perform in front of our panel of audition judges. We accept a wide variety of performers who include, but are not limited to: singers, dancers, magicians, comedians, improvisation groups, actors, jugglers, and ventriloquists. If you are unable to attend an audition on November 30 or December 1, please contact Lew Krainin at 207-838-3846 or email us at lrct_me@yahoo.com to receive more information about audition video submissions. You may only audition to be in one act. Previous 1st place LRGT winners are not allowed to compete, but other previous contestants are welcome to audition. If you will be performing to music, there will be a sound system available for you to use. You may bring a CD, MP3 player, iPod, or phone to connect to the system. Anyone who will be playing an instrument must provide his or her own equipment (instrument, chords, amplifiers, etc) for auditions. There is no need to pre-register and there will be a one-time, $15 audition fee. Can I audition as part of a group? Yes, but you may only audition under one act. Semi and Finals - $10.00 Adults, $7.00 Seniors and Students, $5.00 for 6-12 yrs. (5 and under free, but are not permitted to vote). LRGT is our annual fundraiser and all profits will help us fund our summer musical. If I am a guest of a contestant performing, do I still have to pay admission? Each act will be allowed one named guest in the theater during sound check. This one guest will be granted free admission. Any additional guests won’t be permitted inside the theater during sound check and will need to pay admission when the doors open to see the show. Why has the venue moved to Lake Region High School? During the the competition in 2018, we had to turn away a large number of people that travelled to see the show, because we sold out. We hope to do other projects at the Magic Lantern in the future, but Lake Region’s Got Talent has become a bigger production over the years, and therefor we need a larger venue to accommodate everyone. Will I be able to rehearse prior to each performance? Starting at 11:30am on January 6, 13, and 20 and at 12:00pm on January 27, all contestants will be asked to arrive for sound check. Sound check is for the sound technician to test levels and music prior to the show. Due to time constraints, you may not get the opportunity to run through your entire act before the show starts at 2:00pm. What happens in the event of a snow storm? If the January weather prevents us from having a show, all contestants must to be prepared to perform on the Monday evening immediately after a snowed-out Sunday afternoon performance. In that case, the show would start at 7:00pm and performers would need to be there by 5:00pm for sound check. When is the deadline to send in music for each performance and where do I send it to? MUSIC MUST BE SENT TO CHRIS MADURA BY THE FRIDAY BEFORE EACH PERFORMANCE. Music can be sent to chrmad13@gmail.com or be dropped off at Lake Region High School. If you are singing, the music cannot have any lead vocals or backup vocals. Failure to follow these guidelines may impact your ability to move on in the competition. What time does the house open? The house opens each Sunday at 1:30pm and the show starts at 2:00pm. No. All tickets are general admission and sold on a first come, first served basis. Saving seats is not permitted.